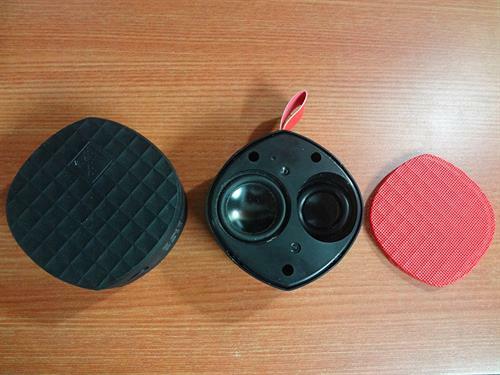 Don't let the tiny size of this little speaker deceive you. It may be small but packs a powerful punch when it comes to sound quality. 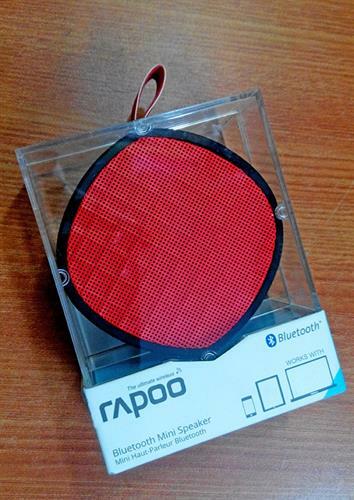 Rapoo released the A200 bluetooth speakers in May 2015 and were kind enough to send us a review unit before they were actually available for sale in India. After using it for a few weeks, this is my review of the smallest yet one of the most powerful bluetooth speakers. The Rapoo A200 speakers come neatly packed in a compact transparent box with all the cables and documentation hidden down under in a paper box. Is it just me or the rubber handle that hangs outside the box makes it look like an apple to you as well? The 'apple' shaped Rapoo speakers are tiny, compact and beautiful to look at. During launch, Rapoo's country head called them the "Bells of Heaven". 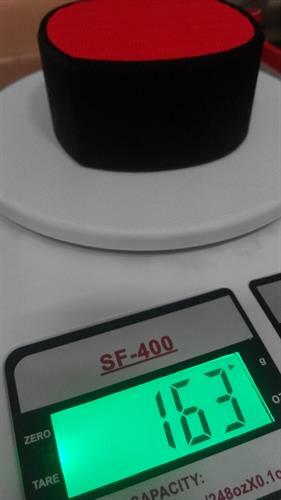 The device is extremely light and weighs just 163 grams. 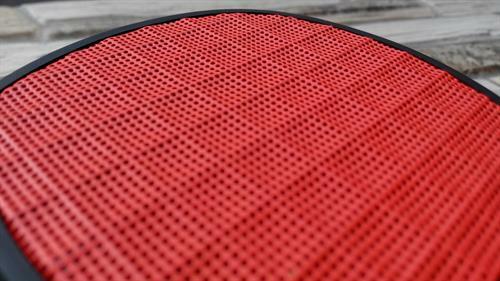 The entire body of the A200, except the speaker grill is covered with a rubber/silicone layer that helps the device stay firm on a flat surface. This also assists in getting better sound quality as it reduces vibration and noise. 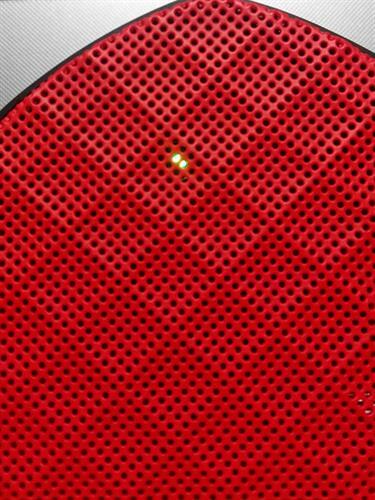 The speaker grill on this bluetooth device is surprisingly made out of metal. With the kind of price point, this device is being sold at, I expected it to be made out of plastic. The speaker is advertised to be resistant to splashes, dust and shock, however I do find dust stuck to it every now and then. Going further, there's also a flap that once opened, reveals the hidden AUX port. 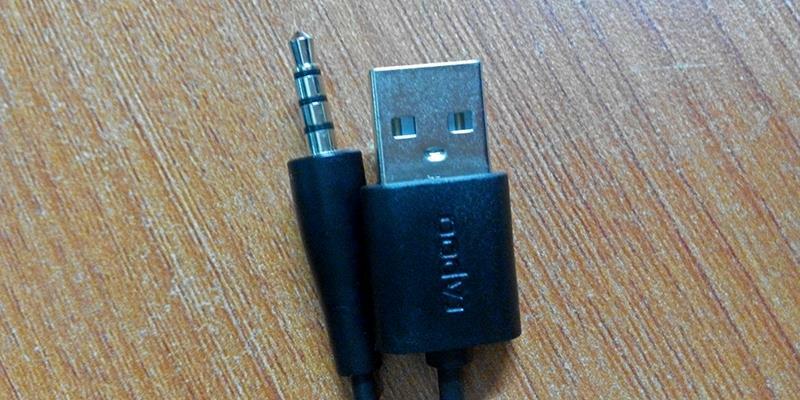 This port can be used to connect the device to a laptop/external player with the help of the supplied 3.5mm audio cable. All these buttons seem usual but I felt there was something missing. I just could not seem to find a micro-USB port on the speaker. Without a micro-USB port, how am I supposed to charge the device? Does this need a wireless charger? Had Rapoo forgotten to built a charging port? This led me to open up the device's components one by one to see if there was a charging port hidden somewhere. Even after dissecting the entire speaker, I just could not find the charging port. It was not until I opened up the accessories box that contained the cables and documentation that I realized what I was doing wrong! The charging cable that comes along with this speaker has a USB port on one side and does not have a micro-USB port on the other side. Instead, it has a 3.5mm charging connector. Interestingly, the AUX port on the speaker is also used to charge the device's 900mah Li-Ion battery in addition to supplying audio signals. That's a first for me! 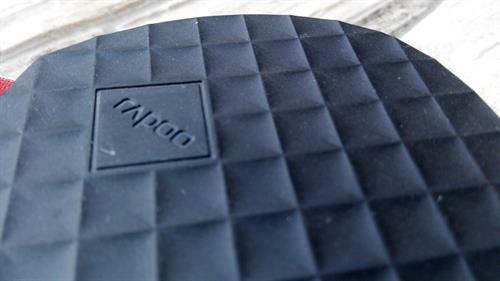 Switching On and connecting the Rapoo A200 bluetooth speakers to a mobile phone is just a piece of cake. There are no fancy procedures or button combinations to press to bring it into the pairing mode. 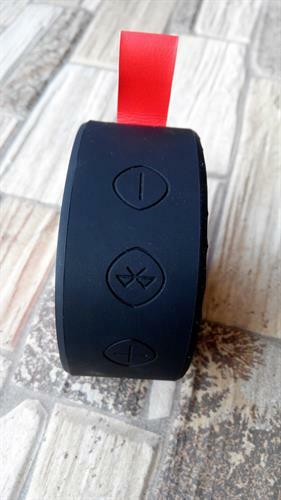 To switch it on, all one needs to do is press and hold the Multi-function Bluetooth button for 2-3 seconds. Once On, an LED light glows from under the speaker grill along with a sound notification. The speaker then automatically comes into the pairing mode and stays there until an external device connects to it. I was able to connect my mobile phone to this speaker in under 10 seconds. After listening to various bluetooth speakers in the recent past (Antec SP1 and Corsair's Simple Audio Go), I seriously didn't expect this device to sound anywhere near them. Its tiny size at least didn't suggest me to think otherwise. However, once the first song started playing, I realized how crystal clear and deep bass output this speaker was capable of. It wasn't as loud as the Simple Audio Go but sounded perfect for a small get together with friends. There was absolutely no distortion, vibration or cracks from the speaker. On the inside, this speaker features a powerful 4w speaker that supplies amplified sound. From this picture, it also seems that there's a mini tweeter incorporated into it. Thumbs Up for that! Keeping the speaker at a comfortable distance of 2-3 feet away, I measured its output by using a sound meter, which gave me a reading of between 78-82 dB. Since I'm so used to listening to the louder/stronger Simple Audio Go bluetooth speakers, I only wished this one was a bit louder, but expecting it at this price point would be a little too much. The Rapoo A200 comes with a built-in 900mAh rechargeable Lithium polymer battery. With the supplied USB charger, it takes around 3 hours to fully charge the device. Various coloured indications on the LED light let you know when the device is fully charged and when the battery is about to die. On papers, this device is supposed to give you a playback time of 6 hours. However, in real life playback situation using full volume and a bluetooth connection, I got a continuous playback of 4.5 hours. The 900mAh battery combined with Bluetooth 4.1 wireless transmission technology helps in lower power consumption and latency which is a definite plus point. With no walls: Around 18-20 feet. With walls in between: 6 feet. I encountered a lot of cracks and distortion in music when took the speaker away from the player with a wall in between. All Bluetooth speakers now days come with a built-in microphone that lets you make and receive calls, and this one's no different. The audio quality while making a call is near perfect and the microphone quality is also good. The caller on the other line had no issues during a Bluetooth conversation with me. 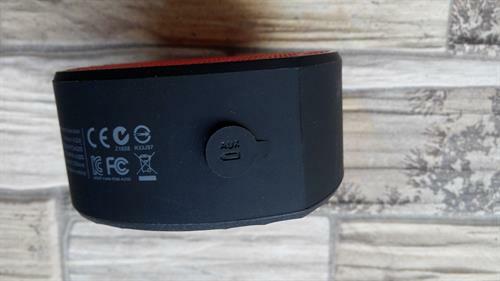 The Rapoo A200 bluetooth speakers were launched at a price of INR 2999, however currently you can get your hands on one for around INR 2200-2500 depending upon where you live. I hope you liked this article, please feel free to ask a question in the comments section below and I will try my best to answer it as soon as possible.